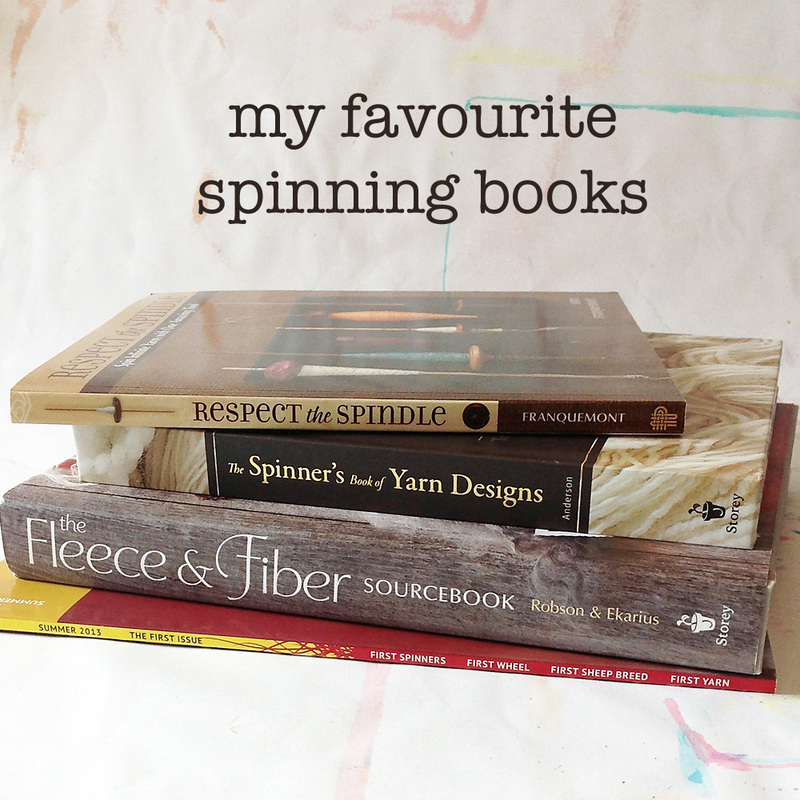 I love books, so today I thought I would share my current favourite spinning books with you. As the back cover says, this book is 'a delightful and indispensable resource' and I totally agree. It is full of clear photo tutorials, detailed explanations of how and why spindles work and how to get the best out of your time spent spindle spinning. 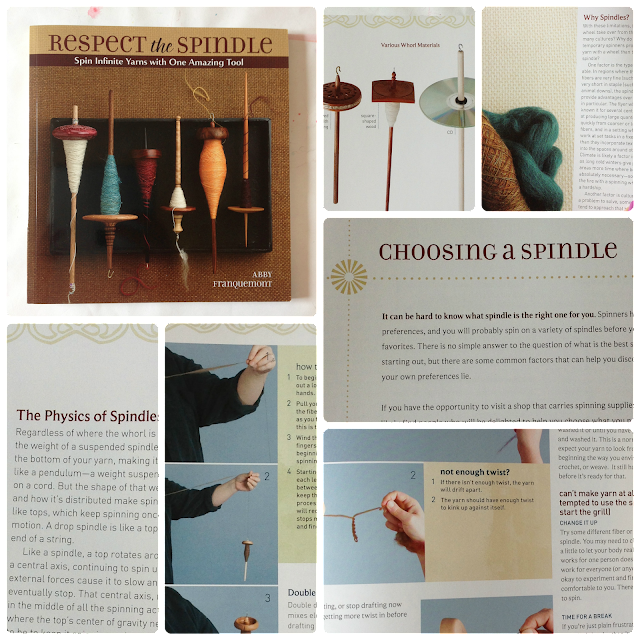 There are also fascinating sections on physics, how to use different spindles and which spindle is best for which job. This book is so chock full of information! One of my life goals is to work through all of the techniques in this book :) - there are 80 - it may never happen. It is such an in depth book that if I could only keep one spinning technique book it would be this one, everything is in here!! I love how the author spun all of the samples in white, you can really focus on the techniques instead of being swayed by colour. You also get an envelope full of reference cards to keep by your wheel while you are working on a technique. Such a wealth of information! Another of my life goals is to be able to identify all the sheep I meet by breed (I have no idea why!) 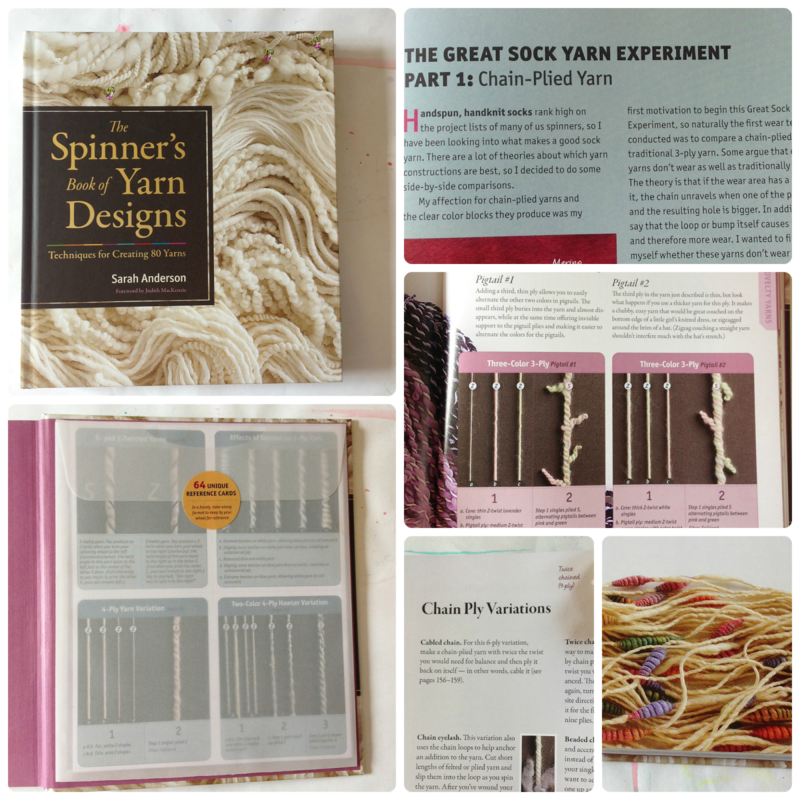 and this book will help me :) I love the in-depth studies into each sheeps fleece, with recommendations of how to process, spin and then use. 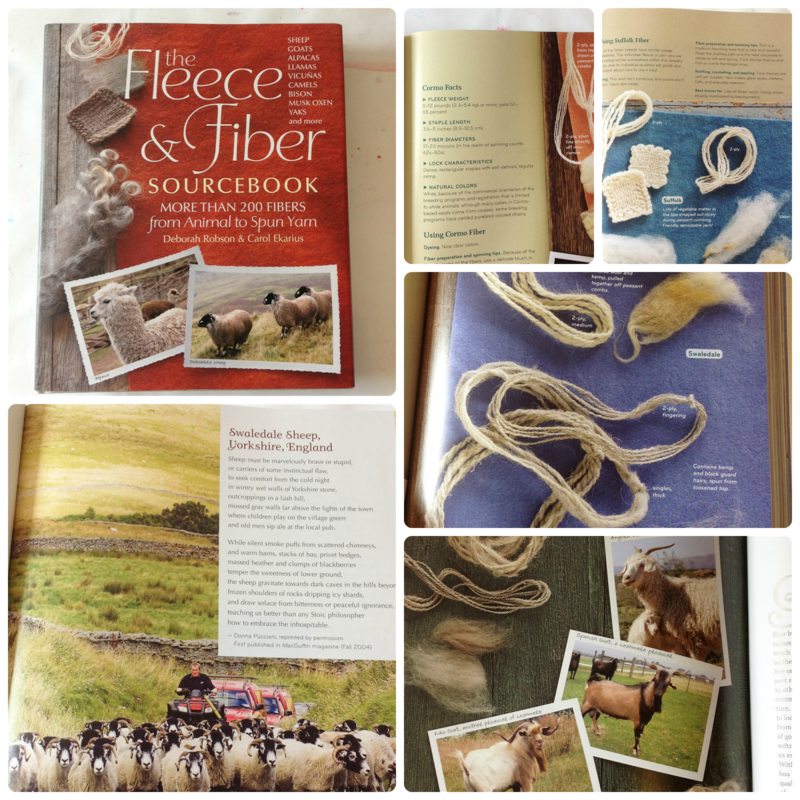 There is also information on other fibre animals such as alpaca, angora rabbits and mohair goats among many others. This book is beautifully laid out and is full of wonderful photos. Okay, so its not a book, but it is so full of interesting articles and tutorials that it had to be on the list. It doesn't have the same feel for me as a regular magazine which I would flick through with a cup of tea, put down and probably not pick up again or retain much information. This magazine is one to be read and devoured and picked up for reference again and again. I'm looking forward to the next issue! So they were my favourite books. I think the reason I enjoy them is the same reason that I enjoy spinning - you can get as deep into it as you want to. 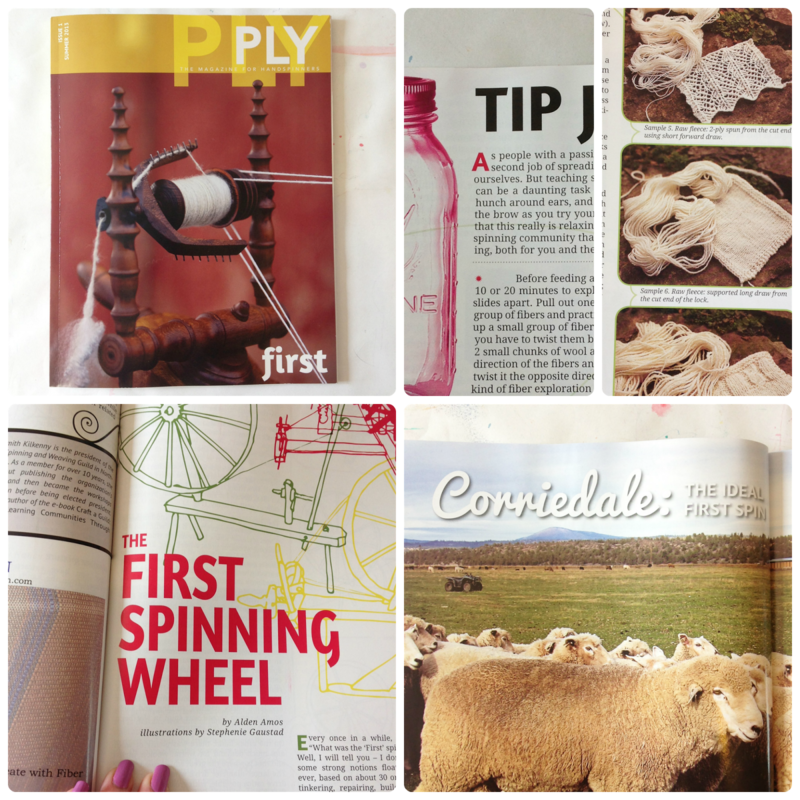 You can skim the books and look at the pictures just like you can grab some fibre, put it through your wheel and enjoy making yarn or you can read the books, think about the physics of spinning and staple length of fleece and mindfully alter your spinning technique for a certain outcome. I think that both are wonderful ways of being and appeal to me at different times. Today I am going with the former, I'll be grabbing some soft, fluffy fibre and spinning for the pleasure of it. Do you enjoy learning from books? What are your favourite books about spinning?